Control Center gets a major revamp in iOS 10, adding new dedicated panes for music and HomeKit controls. But there are also hidden capabilities within the update, found only by pressing firmly on the Control Center shortcuts. On the main Control Center view, four icons remain, offering quick links to flashlight, timer, calculator and camera. Press with force against these on an iPhone 7, iPhone 7 Plus or the iPhone 6s series, and you'll discover new 3D Touch options for even greater control. With the flashlight, Apple offers users the ability to choose brightness intensity levels of low, medium and high. 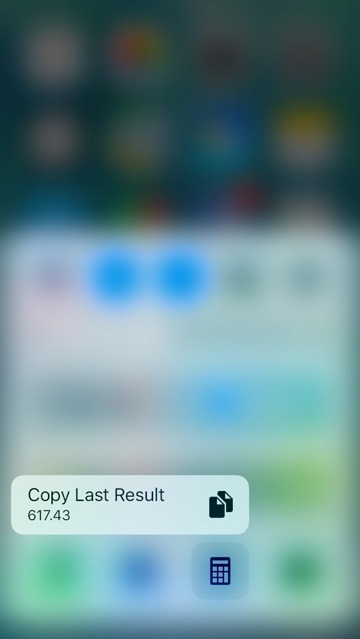 For the timer shortcut, a 3D Touch press brings up four quick options: 1 hour, 20 minutes, 5 minutes, or 1 minute. 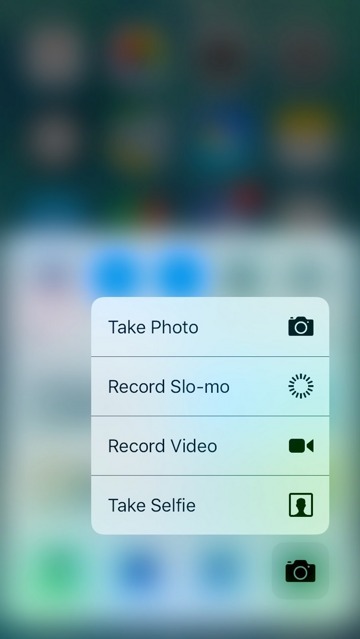 The camera shortcut in Control Center can be pressed firmly to bring up options to take a traditional photo, record in slow motion, record a video, or take a selfie. Finally, the calculator shortcut will present users with the ability to copy the last result from the application. 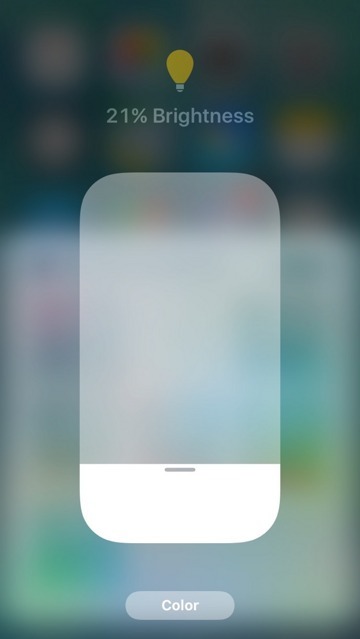 Swiping toward the left from the traditional Control Center input brings up a dedicated music menu, which does not have any 3D Touch capabilities. 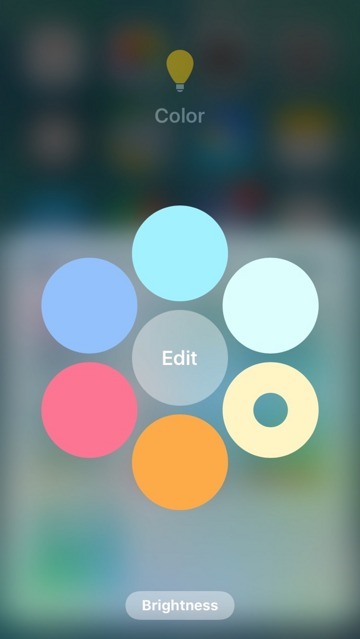 But one more swipe toward the left presents a new HomeKit view where 3D Touch input is possible. In the default "Favorite Accessories" view, using 3D Touch on a specific accessory pops up a new menu with more advanced controls. 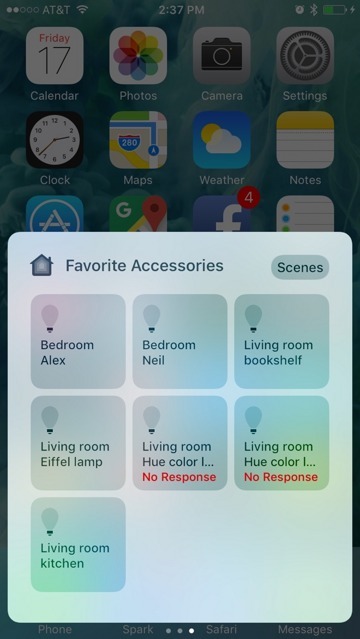 In the case of HomeKit-connected light bulbs, 3D Touch offers quick access to brightness controls, as well as another menu link to adjusting colors. A total of six default colors are presented, and can be edited to a user's liking. The HomeKit Control Center menu also features a link to user-programmed scenes. 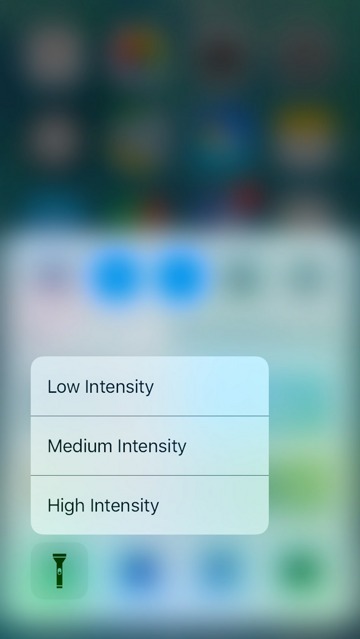 These can also be pressed with 3D Touch to access further options, based on devices and settings. The new Home Control Center is noteworthy because it appears to be the only place in iOS 10 where Apple "emulates" 3D Touch on legacy devices. Presumably because of the necessity of offering more advanced brightness/color controls for bulbs without cluttering the interface, a long press on HomeKit items in Control Center will "pop" open the item when using an iPhone SE, iPhone 6 series or earlier. In other instances of 3D Touch input on non-3D Touch devices— such as actionable notifications on the lock screen, where users must swipe left and select from menu options— Apple has found other, less convenient ways to interact with the content.